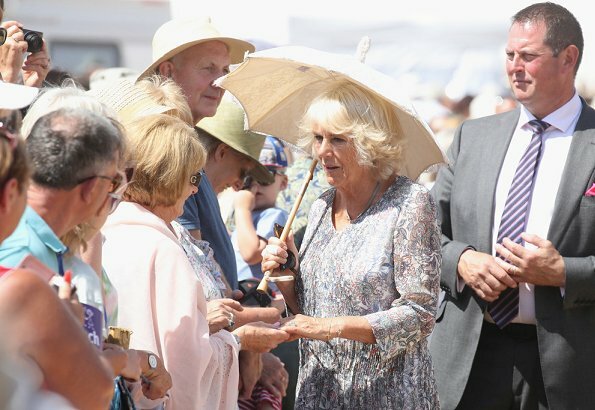 On July 25, 2018, Prince Charles, Prince of Wales and Camilla, Duchess of Cornwall visited Sandringham Flower Show 2018 held at Sandringham Park in King's Lynn. 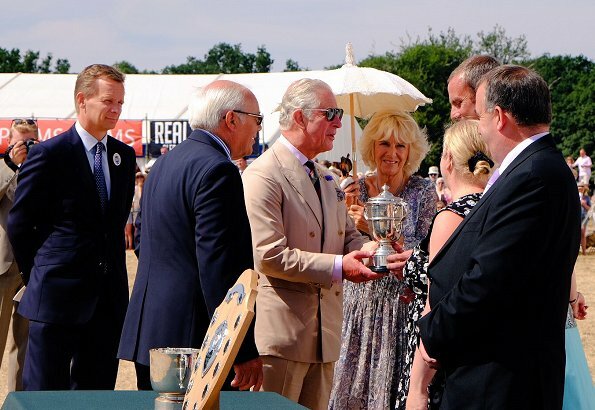 Sandringham Flower Show is one of the most prestigious horticultural events in the East of England. 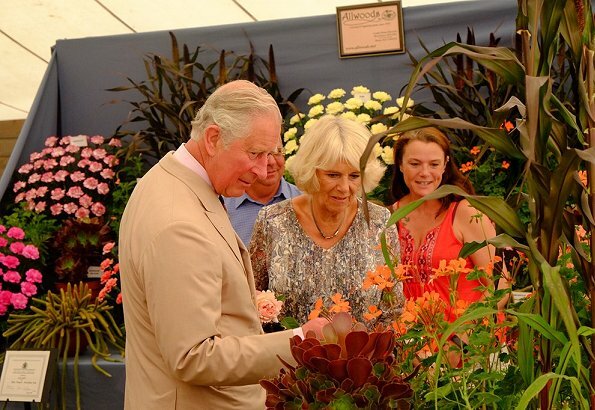 Sandringham Flower Show is a 1 day event held at the Sandringham in King's Lynn. 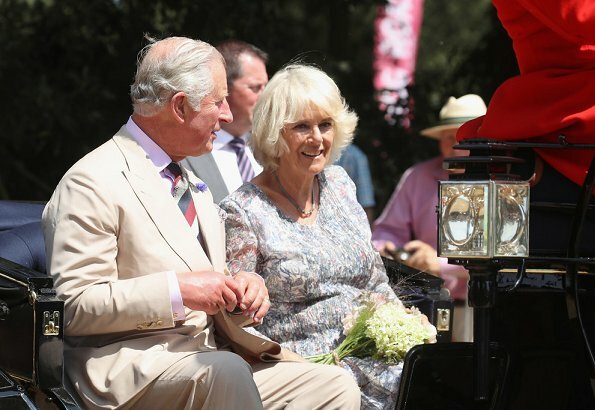 The Prince has been Patron of The Sandringham Estate Cottage Horticultural Society since 2002. 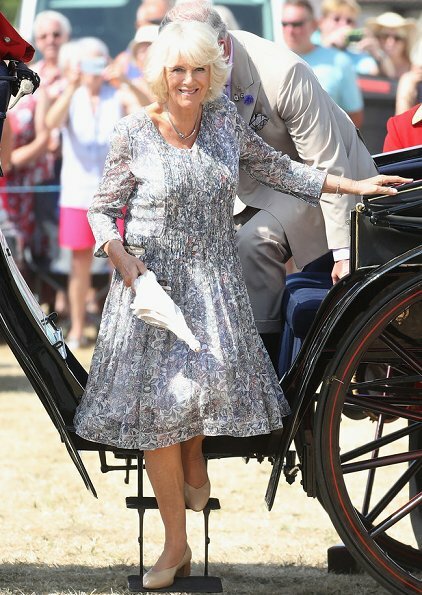 Nicely patterned summer dress,Camilla looks good.She and Charles are really busy. It seems more the others. Nice thing is these two like to work and together.Or does it just look like that, because they do Holiday's later. this is a nice dress. 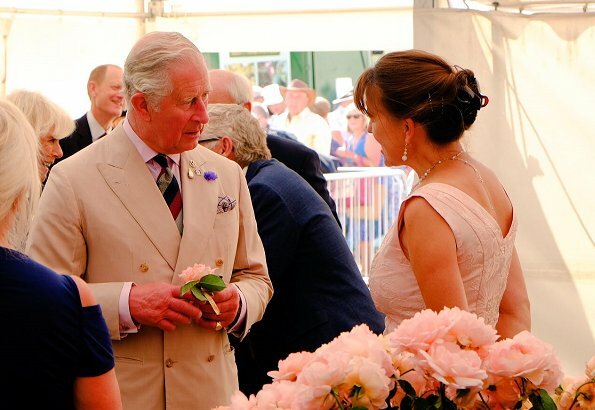 and a nice couple. I agree. I like them a lot. They are working so well together. I like her a lot! They seem very happy together. She turns out to be a wonderful person and this dress becomes her very well. I love the sun umbrella. Very classy. 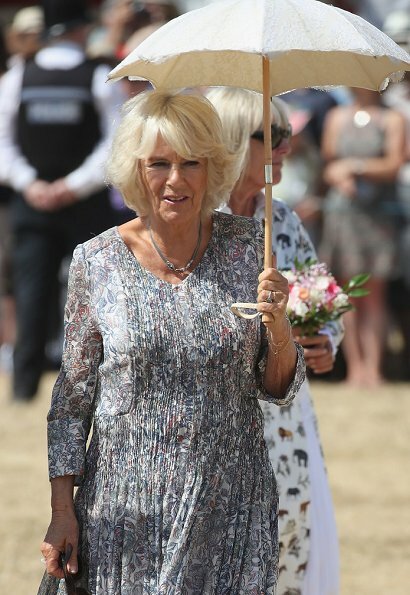 This is a superb summery look for Camilla -- fresh, flattering, ladylike. They look good and so happy together. 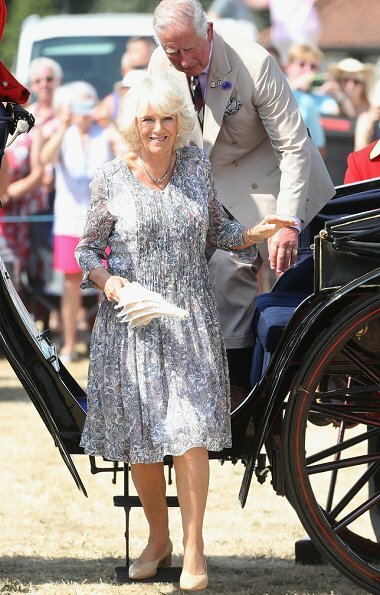 What a lovely summery dress - looks cool but stylish at the same time. 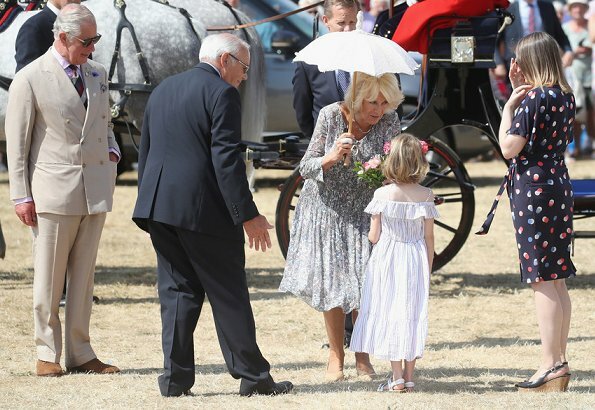 Camilla has never looked better than she does this summer …… all her dresses are so suitable,including the one (and the hat) she had on for Prince Louis' christening.